When the poo was first mentioned by Vancouver Is Awesome, is was reported by Anna Dimoff (for the Langara Voice) to be a little more than a cute little prop to put underneath the $100,000 poodle. It turned out to all be part of a Geo-cacheing adventure. Any theories on who the poo thief is and what motives he/she might have? (Silly or serious, let's hear your most far fetched guesses! Yes. I believe a geocacher is involved with the disappearing poo. It's most likely just a prank. The poo appearing one day drenched in gold paint may be an homage to a complex geocaching series I designed. "Tales of the Golden Skunk" is a treasure hunt that several members of the geocaching community embraced when it was published last year. 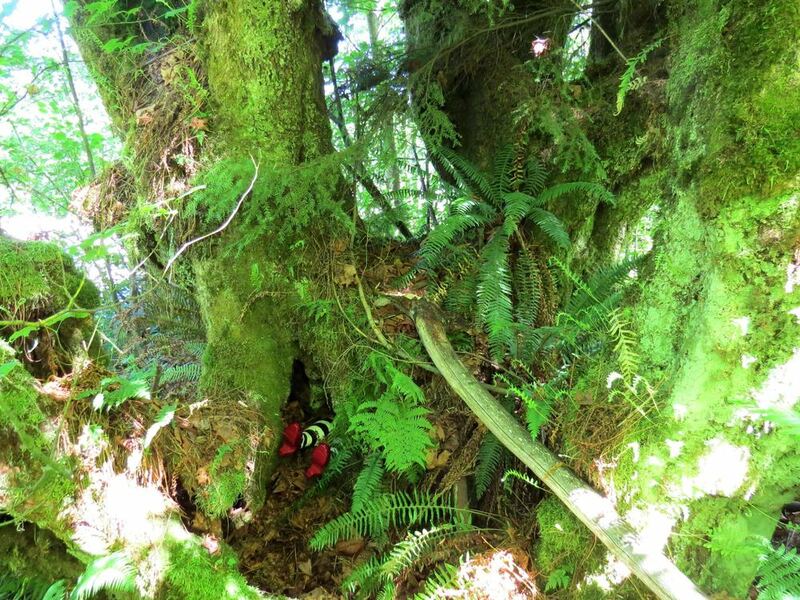 It involves playing a game in order to find geocaches around Metro Vancouver. The first person to solve the puzzles and find all the geocaches was rewarded with a Golden Skunk at the final location. How much it cost to make a fake turd, roughly? About three dollars for the small turd and five dollars for the larger. Was there any sentimental value attached to the original turd? No, but many of my geocaches are made with a fair amount of effort so in that sense I do take pride in helping make the game fun. Have you had other geocache disguises stolen? Geocachers expect their caches to be "muggled" (stolen) from time to time -- especially if the cache is in a busy area. So, I was a bit disappointed when the turd was taken but prepared myself for the possibility. When placing a geocache I usually make one or two back up containers to place just in case the original goes missing. So, I had an extra turd laying around the house. I can't say I was sentimentally attached but I do like to think I put some care in effort into my caches. I have more of a sentimental attachment to the Wicked Witch of the West I have hidden somewhere in Burnaby. The ruby slippers can't be easily replaced. Turds are easy to make. Geocaches go missing all the time. I have approximately 90 geocaches placed around the city and have to replace or fix at least ten every year. Has this experience deterred you from making more hiding spots like the turd? I am not deterred from hiding new geocaches. I knew that placing a blatantly obvious turd in an open area had risks. The turd and the ruby slippers are not true representations of my average geocache. Most of my caches are designed to blend seamlessly with the environment. The turd and the ruby slippers was just to give geocachers a laugh.